Autumn is here and Thanksgiving is just around the corner. And will be followed shortly by Christmas! Time to be planning some yummy treats for the holidays! 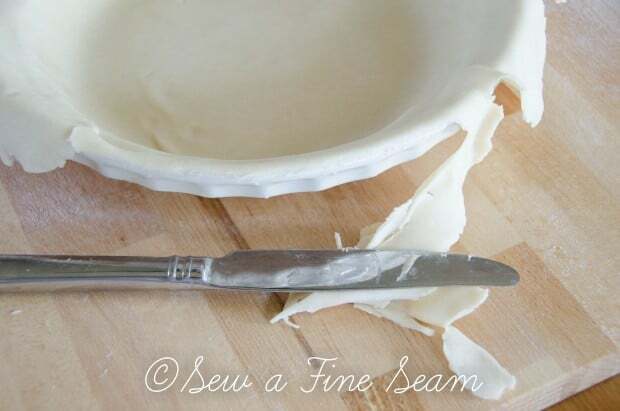 Pies are always a favorite so today I want to share the best pie crust ever with you. This recipe was my Grandma’s and I’ve never tasted a better crust. I also find it easy to work with, especially when using pastry flour. A printable recipe can be found at the bottom of this post. 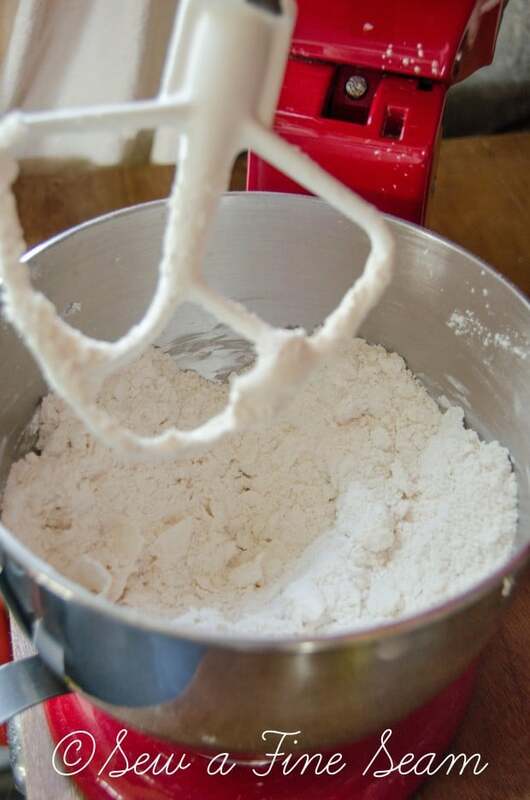 Mix together 3 cups flour – preferably pastry flour but all-purpose or wheat flour works too, and 1 1/2 tsp salt. 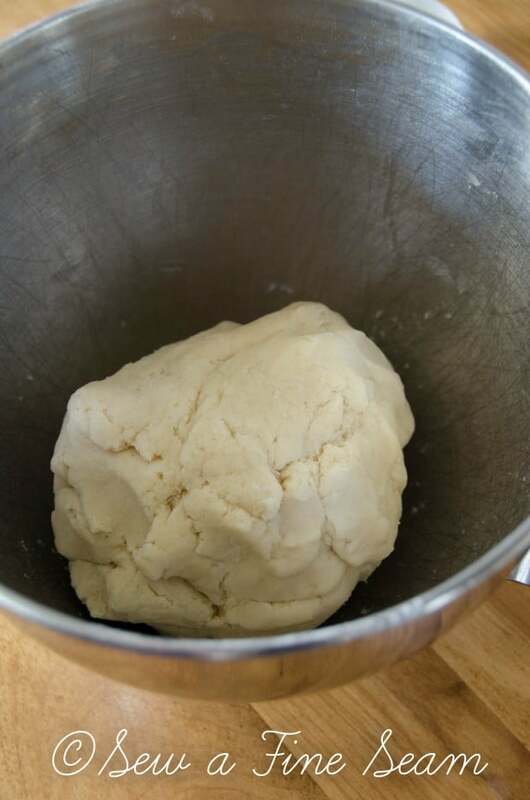 Add 1 cup lard, and mix till crumbly – as shown above. Next you need an egg, 1 tsp apple cider vinegar, and 5 TBS cold water. 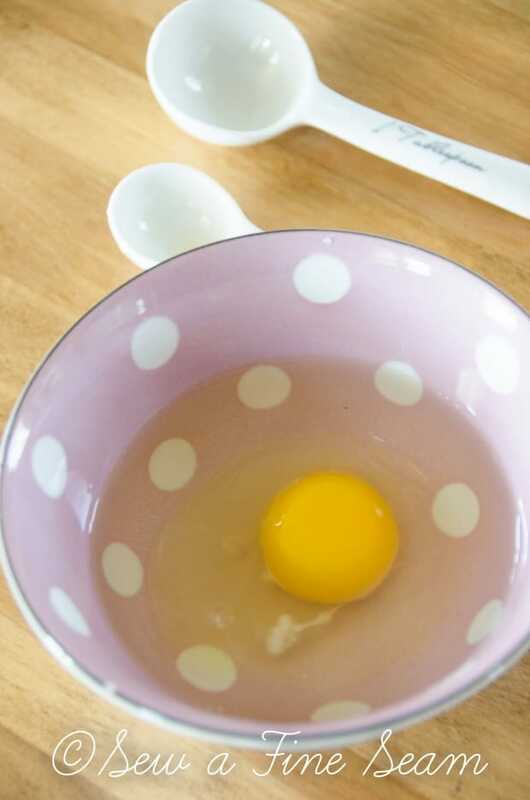 Break egg into bowl and beat with a fork. Add liquid mixture to crumbs. Crust will be a bit sticky, less so with pastry flour. Mix till smooth. 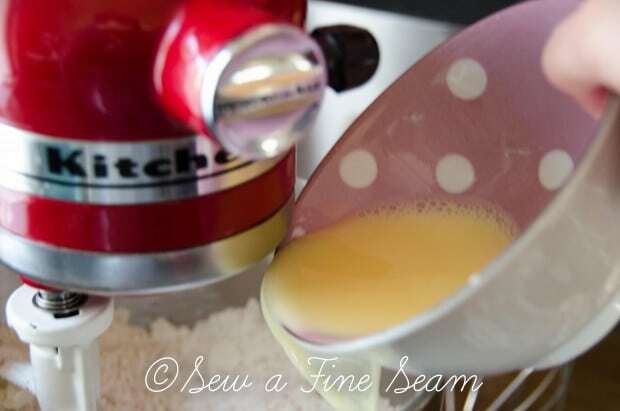 Yes, I use my mixer. My Grandma used her mixer. My Mom used her mixer. Yes the crust is still flaky, light and yummy! Shape into a ball and let sit for 10 minutes. 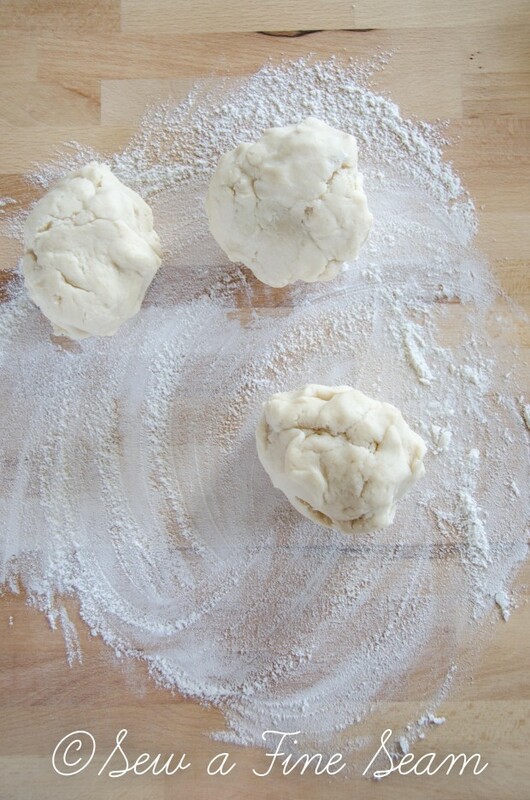 Divide dough into 3 equal parts. 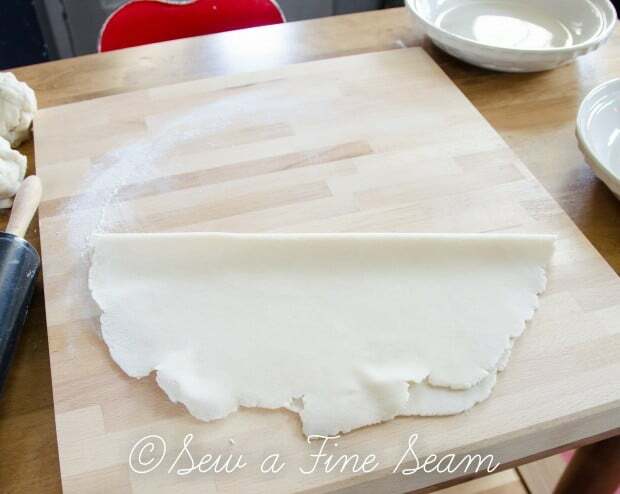 Flatten one piece of dough and shape into an even round. Roll out till evenly thin all around . I set my pie plate on top to make sure I have it large enough. 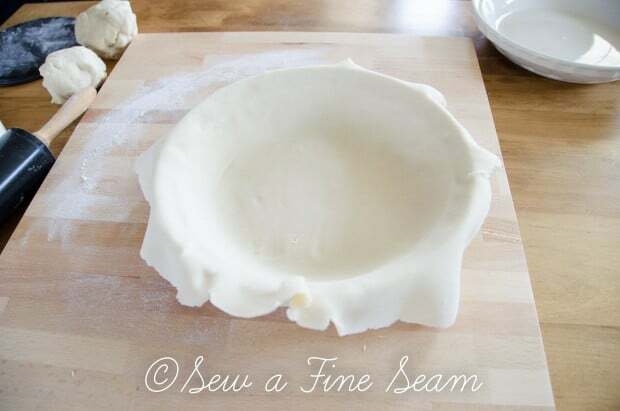 Fold pie dough in half and lift into pie plate. 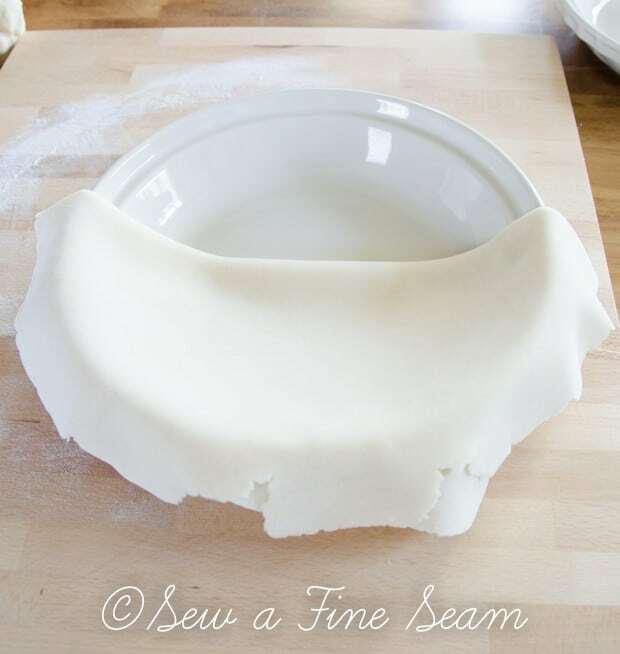 Unfold pie crust to fill pan. 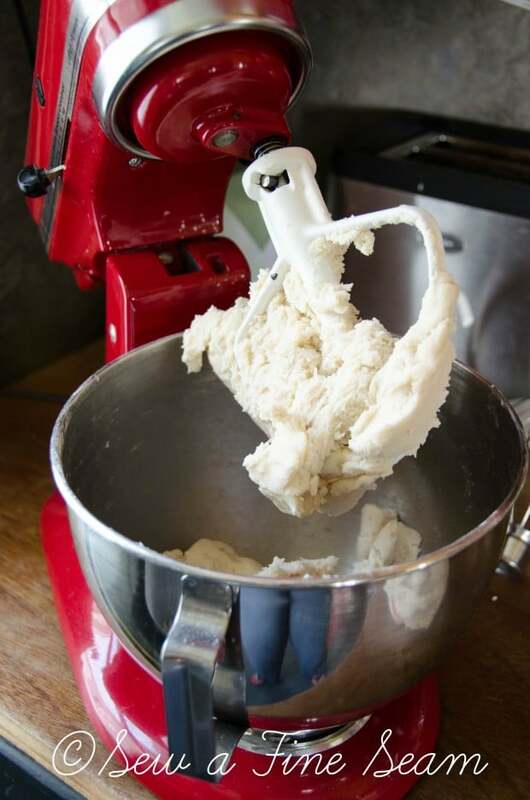 Push gently to make sure dough is all the way down into the pan and not stretched too much. 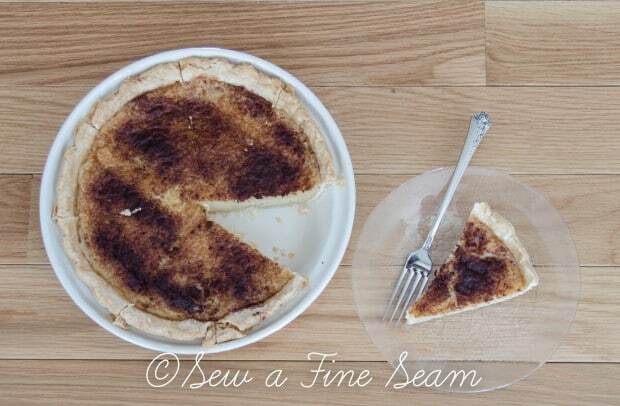 Trim excess crust with a table knife. 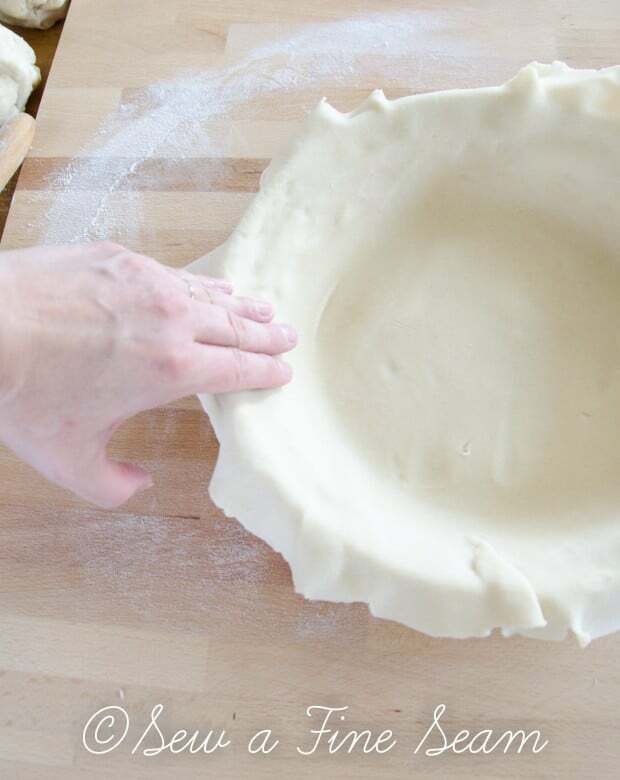 This pie crust recipe makes 3 crusts. 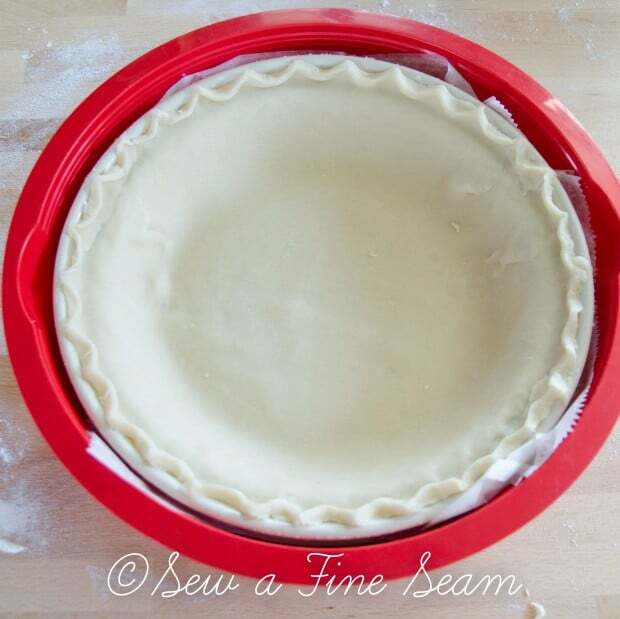 If I am only using one crust, I put the extra 2 in pie pans and freeze them to use later. When I made my Cherry/Blueberry Pie last winter I had pie crusts in the freezer and it made the desert so much faster to put together. 2 pies will fit in this tupperware container. 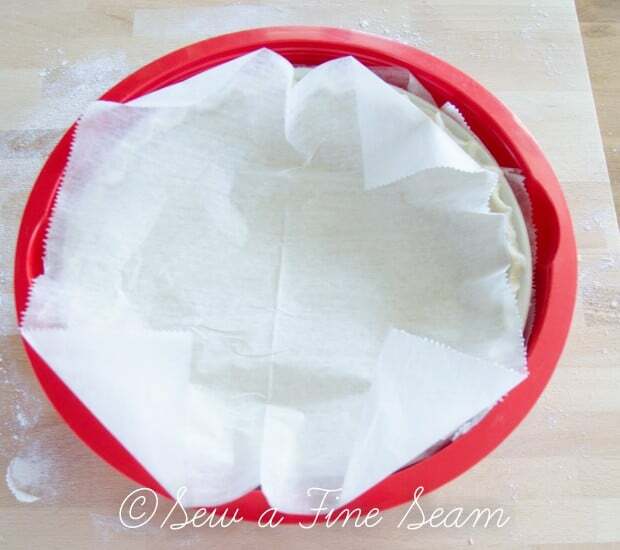 I put dry wax paper sheets between the two pans. 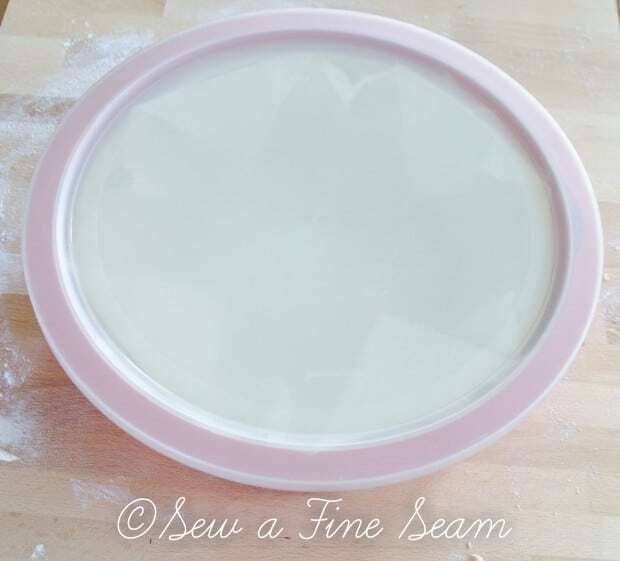 Another dry wax sheet and the lid and it’s ready for the freezer! 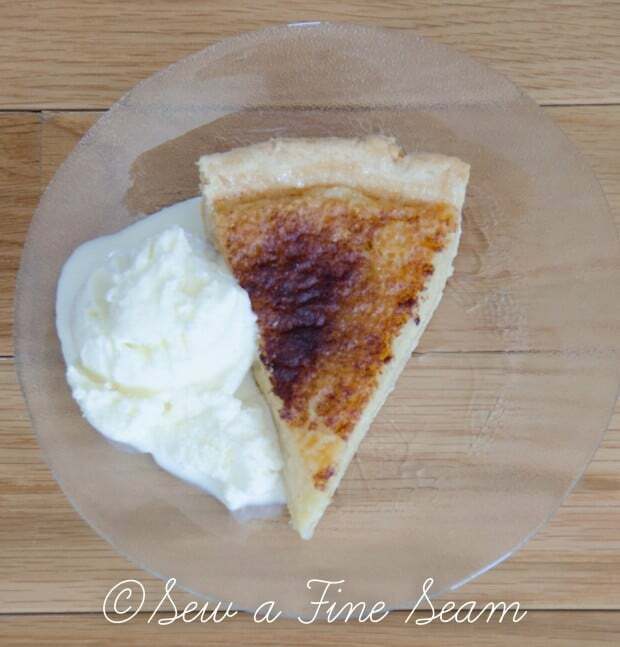 So nice to have pie crusts ready to pull out when you want to make a special dessert. Or a quiche – I use this for my quiches too. Mix together flour and salt. Add lard and mix till crumbly. 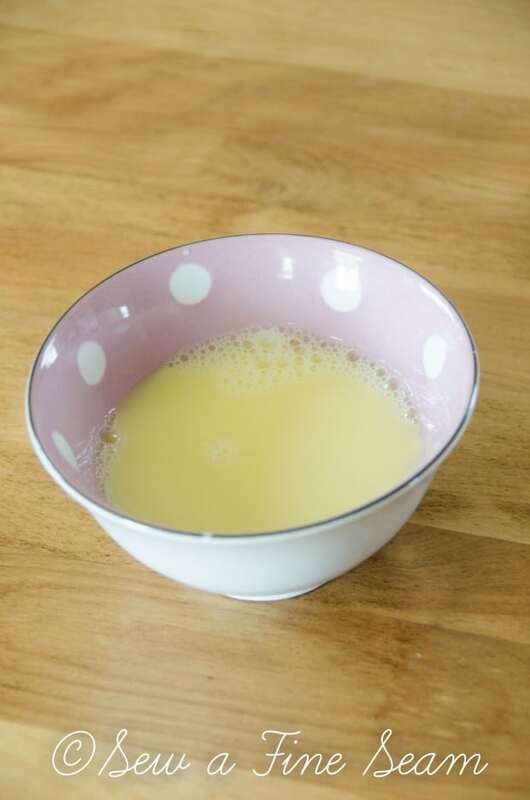 Beat egg with a fork and add vinegar and water, mix well. Add liquid mix to the crumb mix. Mix till smooth. Form into a ball and let stand for 10 minutes. Divide into 3 equal parts. 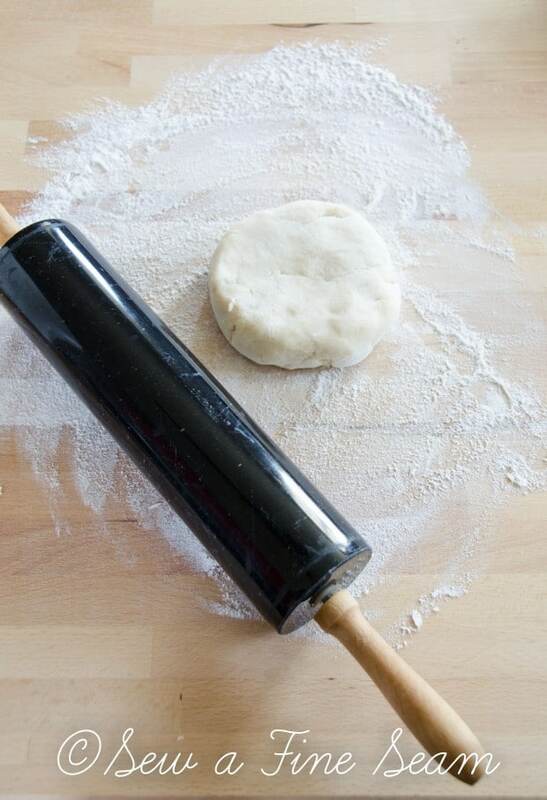 Using a rolling pin, roll each into an evenly thin piece of dough. 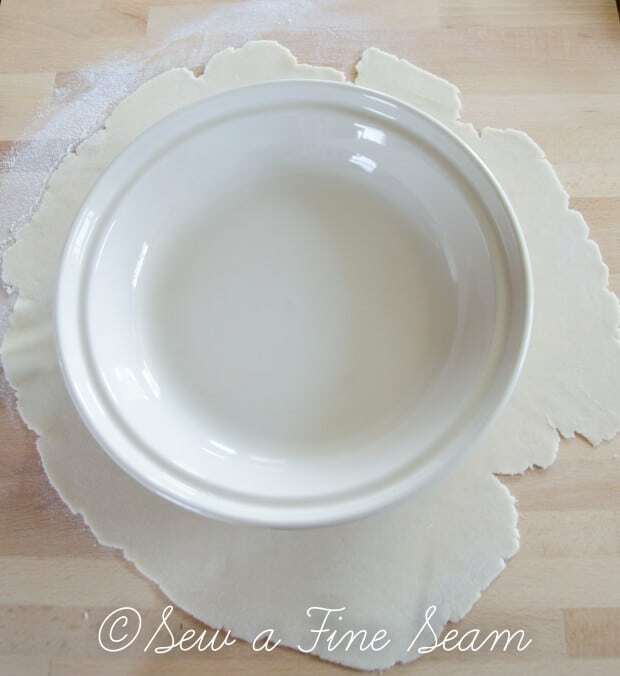 I prefer to use pastry flour as it makes the dough much easier to work with. 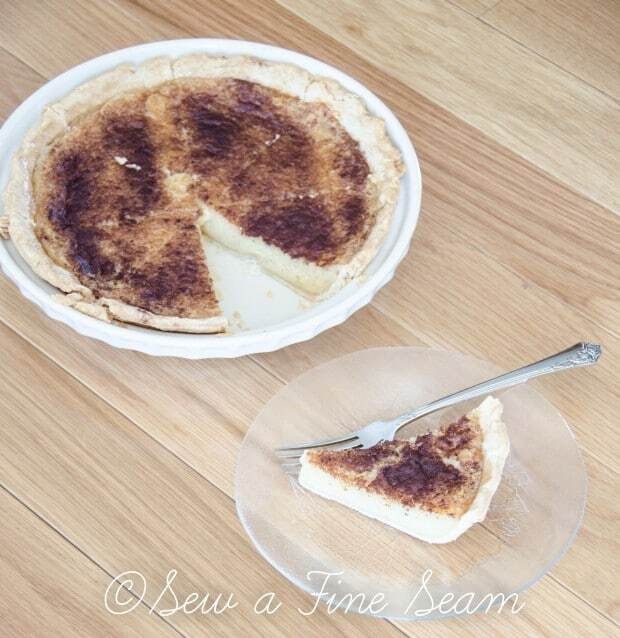 All-purpose flour works as well as whole wheat flour if you do not have pastry flour. Can Crisco be used instead of lard? I really don’t know Laurie – I won’t use crisco for anything anymore. I substitute coconut oil for anything that calls for crisco. Jane, my Grandma would even make the whole pie and freeze it, then thaw and bake when she was ready to serve it! 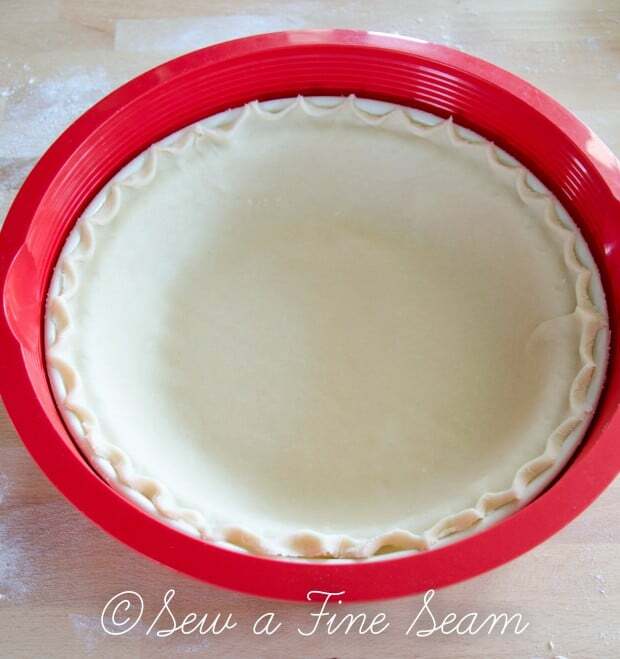 Excellent tutorial Jill I think I could actually make a pie crust from going by your great photos. 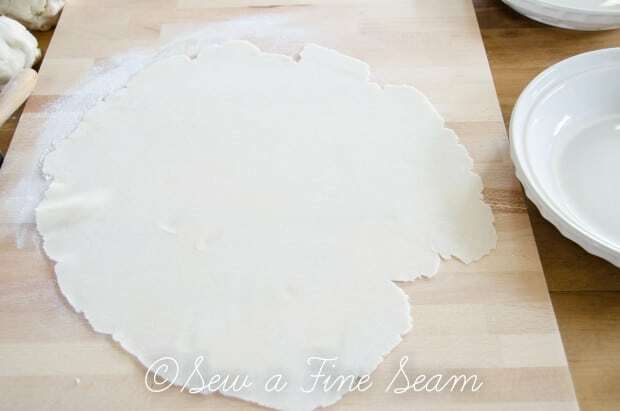 For some reason my printer didn’t want to print out the actual making pie crust photos but I’ll pin it so I can go back and print it all out. Did print recipe but I like/need the actual making it photos. This sounds really good and I have a pie in mind I’d like to make,using marionberries if I Can find them at grocery store in frozen section. Hubs and I did some cleaning up out on back deck today, junk/stuff all over and it was really time to get it all cleaned up before we do get any “acting like Winter” weather. We have had snow here on Halloween. Had some boxes down on lower yard that needed to be addressed also, emptied one big one out so we had someplace to put summer clothes out of our room. This is not my favorite time as it involves a lot of extra making messes til winter actually arrives. 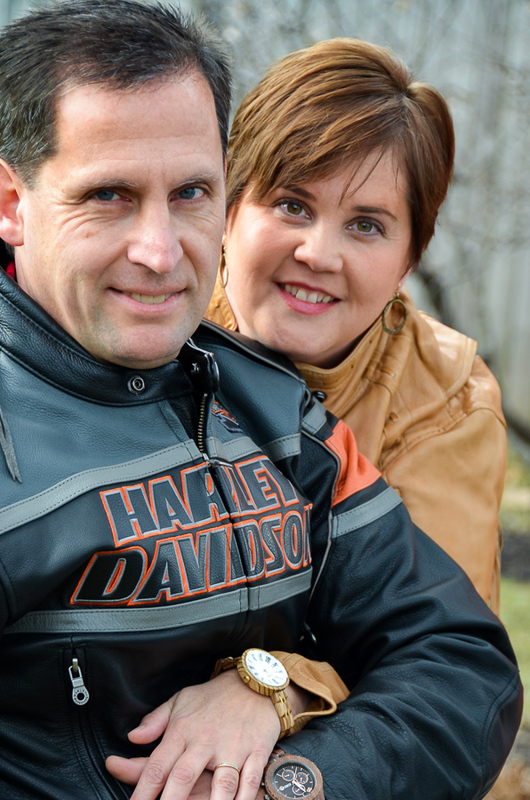 Don’t know if we should keep any warm weather clothes out and not ready for winter clothes. Our seasonal clothes are stored in the Suburban so have to do a lot of moving boxes and getting some cold weather clothes out but keeping couple sets of warm weather clothes, bother bother. But at least we did get quite a bit done cleaning things up. Been doing lots of little jobs like that done this week. Hubs put my Fall decorations box up in his smaller shed today also. It feels good to get things out of here so we can move around. Our house is just too small to have stuff sitting around for weeks. Now I need to work on sewing room, have some of stuff out in hallway, just have to motivate myself to go thru and organize, put whatever needed out in a shed. Phew getting tired just thinking about all I need to do yet. Ah well, life goes on huh? Happy days friend. I’m not really ready for all that cold and snow that comes with winter! 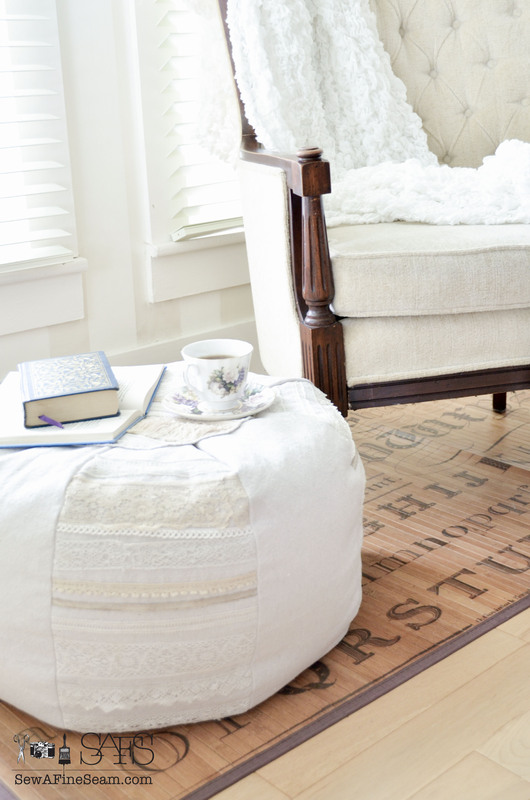 Glad you are getting some organizing and readying for winter done! Make sure you do let me know Tammie! You can do it! I have also used this recipe for absolutely years and years and can give thumbs up on its being successful everytime. I hope everyone will give it a try during the holidays and have so much stress removed from their lives knowing they will have success. How fun that you use the same recipe Brenda! TRULY!! Best pie crust ever! 🙂 Makes me want to make pies. 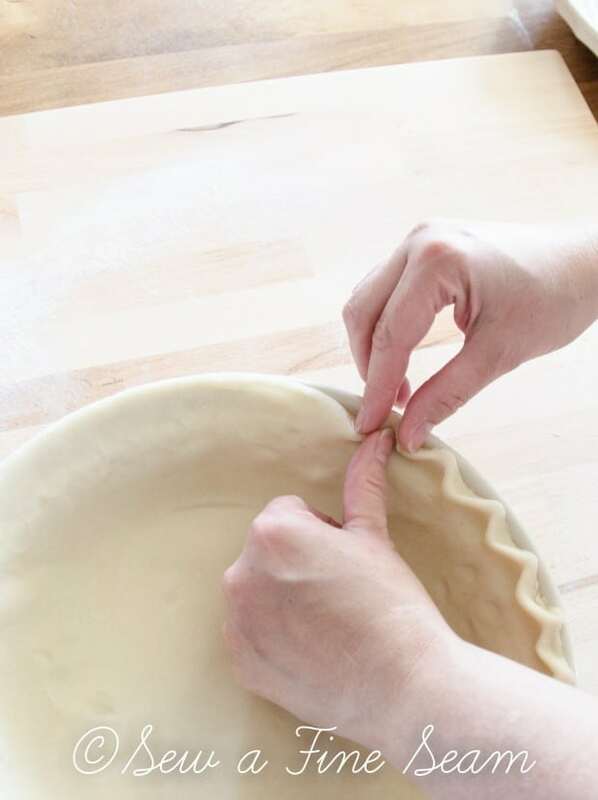 I enjoy making pies ~unless I’m rushed. Jill, if you don’t mind me asking, why do you not use Crisco? I have never used lard (animal fat) for anything. 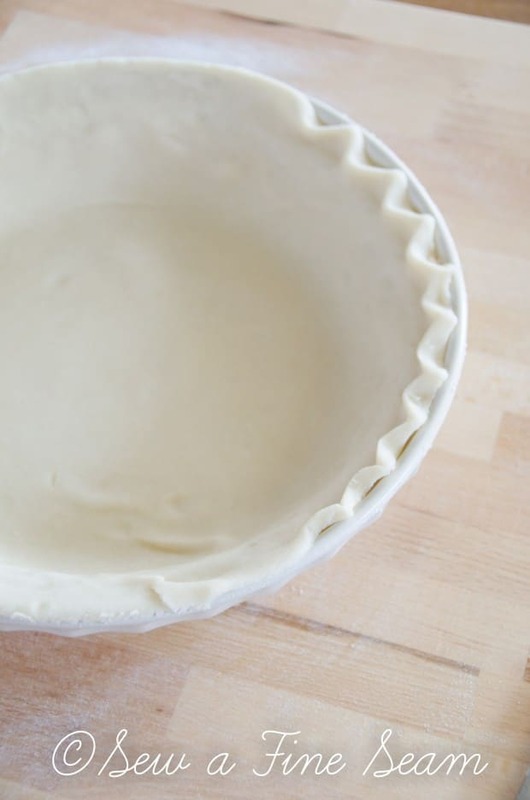 Crisco has been my pie pastry fat for all of my life because that is what my mother used for her wonderful pies. Your pastry does looks yummy. Linda, the oils and ingredients in crisco are not healthy or good for us. I won’t use it in anything. I use butter or coconut oil in most things and I will use lard in a few things. Lard rendered from animal fat is better than the stuff Crisco is made from. Thanks, I should have known!! I use butter not only for the better taste but because it is better for us than the artificial products in oleo. Nature is always better than artificial! I know it’s hard to switch on a recipe that you have always used crisco though! I have found in the recipes that call for Crisco, coconut oil makes them even better! I use the refined coconut oil so it doesn’t flavor everything with coconut! When using cocoanut oil do you use same amount as lard? If cocoanut oil is a liquid doesn’t it make the dough too soft or sticky to handle? In your cherry pie recipe why is baking soda sprinkled on the cherries? Am anxious to try both recipes. Hi rosalina, Coconut oil is in a solid state when stored at a temperature below 76 degrees and I use it just like shortening. If I want to use it as an oil I melt it. I’ve never substituted the coconut oil for the lard but I’m sure it would be fine. I have no idea why the soda is sprinkled on the cherries! It’s just the way my Grandma and Mom did it and the way the recipe was handed down!